We’re what professionalism sounds like. The perfect soundtrack to the best day of your life, spun with your wedding or event in mind. The DJs of Complete Weddings + Events Fort Lauderdaule will keep you and your guests dancing till the reception ends. Darron is an engaging professional DJ & MC that mixes music and controls the crowd with energy and vibe as soon as he begins spinning his tracks. 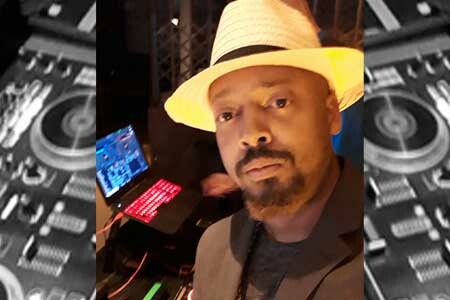 With extensive knowledge of many genres that include Top 40, Mainstream, Hip-Hop, Old School, Soul, Funk, Reggae, Dancehall, Soca, Reggaeton, Salsa, Merengue, Zouk, Kompa/Konpa and other styles alike, Darron Faison became known as one of the most versatile DJs in his scene, which has garnered him to become a high demand act throughout his scene and surroundings; setting him apart from your average DJ or Emcee. “My DJ booth is fashionable, chic, and always brings fun dance floor lighting” says Faison in regards to his live-show setup. “Also being a lighting tech, I can design and control uplighting and stage lighting for an amazing light show experience that parallels with the music. I coordinate with other vendors for smooth events as well as take music requests from guests”. Darron was amazing! He interacted with us and the guess and did an awesome job not just with the music, but also as an MC. We will gladly use your services again and recommend you to all our friends! A great company to do business with! I used them for a wedding, had a DJ, MC, photographer and photo booth. Everyone contacted me prior to the event and went over what we wanted. Everyone was so nice and accommodating all night!! Couldn’t of been a better night! Thank u all! I had the most amazing experience using Complete for my wedding photography, dj, lighting, and photo booth. From the beginning of the wedding planning process, Arturo was so helpful and wonderful at keeping track of all the little details. Amy and Tony were amazing photographers and kept the photo process running smoothly the whole day. Darron was the absolute best DJ and I keep getting more and more compliments about his skills at my wedding. Alan was great in the photo booth and we truly loved coming away with our photo booth album. Everyone was so professional and it was so helpful hearing from everyone before the wedding to finalize the little details. I would recommend Complete to anyone and my only regret is that I didn’t use them for even more services! Your team was fantastic!! Everyone had an amazing time!! Couldn’t have asked for better :) Darren was an awesome DJ/MC, kept everyone up on their feet! And Alan was kept busy all night in the photo booth, everyone loved him!! Would highly recommend!! Marvin loves to bring his passions for music and having a good time to the wedding scene. For Marvin , the wedding experience is something that is to be cherished and remembered forever. The chance to make even the slightest positive difference in the way your special night is remembered, drives him! Marvin takes his job as your DJ very seriously and has multitudes of enthusiasm! He will always make sure the you are taken care of prior to and throughout the night, ensuring that you are comfortable and happy, all while creating a great environment to dance the night away! Marvin is an experienced DJ with a deep knowledge of multiple music genres music and is both english and spanish speaking. His customer service is second to none when it comes to listening to what the customer is looking for in a DJ. “I strive to develop a connection with each person I serve and desire that everyone who attends an event leave saying they had an amazing time” says Marvin . Music is very special to Marvin and he wants to share that with everyone. I'll start with Arturo and Rachel. I met them both at different bridal shows and they are awesome. We ended up working with Arturo after he followed up with us. He was so great and always prompt to follow up and answer our questions. Now to Marvin! We could not have chosen a better DJ for our wedding than Marvin. He was easy to work with, kept our guests happy, and was so flexible with all of our wants! He truly made our day more special. We had so many cultures and backgrounds represented at our wedding from Irish to German to Jamaican to Cuban to Peruvian.... I can't even count how many nationalities! Plus a big group from South Florida and a big group from Texas, so the music was going to be tricky, but Marvin exceeded all of our expectations in making everyone feel included. Everyone had a wonderful time and we can't thank him enough for making our day so special! 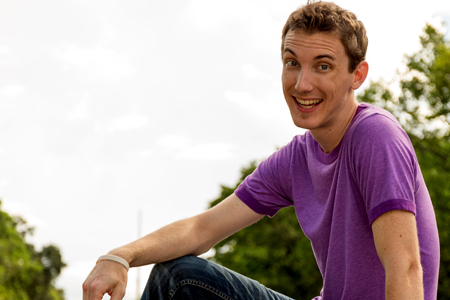 Ian has a wonderful personality and his talent as a professional MC comes seemingly natural to him. His skills as a communicator, organizer and coordinator put him in a class above all others. Ian takes the time to learn all he can about the event and the people that will be involved in it. He approaches every event with a genuine personality that results in a truly unique experience for the clients and guests. He is truly proud of his profession and it shows in his attitude and his touches with others. Ian had performed at American, Caribbean & Latin events and always gets rave reviews. Frank is a Bi-Lingual DJ and MC. Frank loves to interact with your guests. Frank is also very professional and detail oriented. He will make sure you are not only entertained but informed. Frank is a great fit at every event; including weddings, corporate functions, sweet 16s, Bar/Bat Mitzvahs Quinceaneras, etc, etc. Our DJ, Frank, was amazing! Genuinely interested in what we wanted to hear during our event. He found the perfect way to take all the music we threw at him and have it played with such an appropriate positioned and well timed flow. We had an issue wiith the buildings power and he knew exactly what to do to fix it. He was very passionate and motivated our guest to dance. He made all the announcements genuinely with excitement. Speaking to Arturo at there home office was so easy and he was extremely professional. He gave us a great deal and helped us set up the whole reservation. I would recommend Complete Weddings over all other DJ needed for a wedding! Very professional. They were on top of everything I didn't have to worry or do much. Very organized. Very polite and willing to accommodate. Available when needed. Did exactly what I wanted. Called me ahead to confirm details. Price was good. Very helpful with anything I needed. Answered all my questions and gave us advices, very knowledgeable about what they do. Would definitely recommend them. Perfect to the T, Frank was extremely thorough, polite and accommodating. Able to turn on a dime at a moments notice and music selection was on point. Very happy we went with Complete. Everyone is extremely friendly and professional. They are on top of everything...no need to worry, it's all taken care of. Since joining the team Tory has kept himself very involved with our organization. This has really helped in his development as a true professional in his customer service and interactive skills. He is a true emcee in that he is able to control the flow of the events and speak over the mic in a way that is exciting and informed. Overall Tory really enjoys what he does and it shows. Tory is a very relaxed and calm presence. He makes all the stress and worry disappear and takes care of all the details during the reception. He knows what it takes to deliver great customer service while rocking the dance floor. He is great at reading the party crowd in selecting just the right songs to energize and pump them up. He is your go-to-guy during the evening, anything you need, he will get it done! Shawn has been with Complete for quite a while. 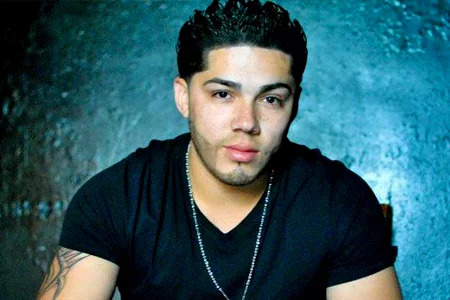 He has a generally laid back personality and is a well organized and proficient DJ choice. 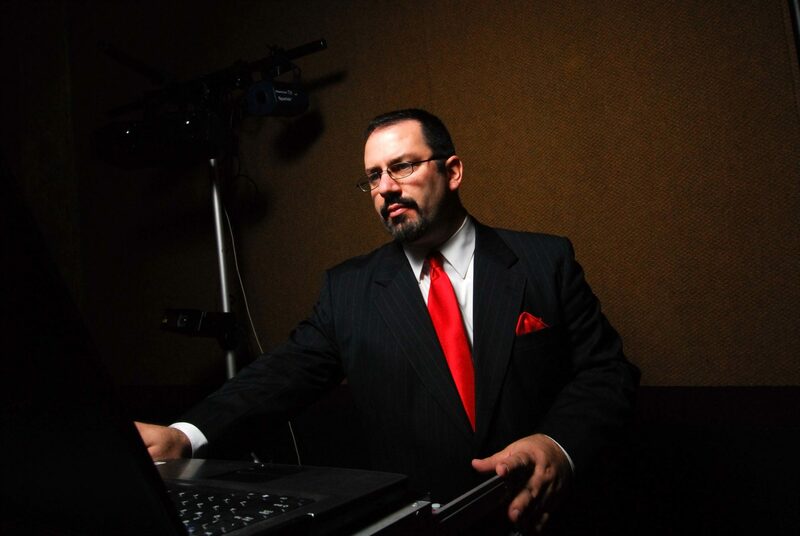 He is certified for all events including Wedding DJ, teen parties, and Holiday Party DJ. Unlike many of his peers, Shawn has a great appreciation for all types of music to include, reggae, classic rock, Mowtown, and of course current music. I can be anywhere from witty and outgoing to well reserved and proper at the drop of a hat, so it really depends on what moment calls for. I went to a bridal expo and put my name in a hat. A few weeks later I was contacted by Damon at Complete Media and told I had won their grand prize (50% off their services). We scheduled a meeting at their office and found Damon to be very professional and helpful. After explaining our expectations and vision for our event, he selected Shawn to be our DJ. We met with Shawn about a month before the wedding. We found him to be very friendly and professional and he listened to our ideas and understood what we wanted for our event. We spent over an hour with him and he gave us a comfortable feeling that he wanted to actually get to know us as people and not just a number. We wanted something mellower for our early morning affair and he understood that. We provided him a list of artists and songs that we felt captured the essence of the theme and let him work his magic from there. He also provided us with a list of special wedding moments that we could list specific songs for if we choose to. He MC’d the reception wonderfully. We should mention that due to inclement weather, our entire wedding started an hour late. Shawn wasn’t fazed at all, and rolled with it. He must have moved his equipment in and out of the rain more than a few times every time it started to clear. Overall we fully enjoyed ourselves. His music selection was spot on and we highly recommend Complete Media, especially Shawn. Everything about Complete was very professional. We had Shawn as our DJ and William as the photographer. They both did an excellent job. Shawn played all the music that our guests loved and everyone had so much fun at the reception, I couldn't have asked for a better DJ. He even found a "special request" song from a movie for us. William was great. He was quick and had some unique photo ideas. I haven't seen the photos yet but from the professionalism that I saw when he was taking the pictures, I know they will be great. Complete made the job of finding a DJ and photographer so easy and stress-free for us. I look forward to working with you again in the future and referring friends and family your way. Thanks! assured me that you were great. I actually initially contacted a competing company in the area but the guy that answered the phone snooty as well, you took the time to answer questions. I have to tell you that Shawn and Marcello are awesome. Marcello is so hilarious and he went absolutely above and beyond to make everyone laugh and put their minds at ease when my officiant was late. I would say it you guys were much better than I expected. So pleasantly surprises. Shawn did AWESOME! He was set up by the time I arrived, he had a time line set up so I knew what to expect. He kept me in the loop and talked to me about the events that were upcoming. He kept the crowd motivated and involved. He did great and I would highly recommend him!!!! Thank you! I am a Courteous, Energetic and very Fun DJ. I once Dj’d a farm wedding that went from 8pm until 4am. The longest I’ve ever Dj’d and the best party I’ve ever gotten to play music for. The guests from the reception just didn’t want to stop dancing. What sets me apart from other DJ’s out there is that I dance a lot behind and in front of the booth. I love 90s and 2000s hip hop. Marky Mark in the house! One of my proud moments is when I particpated in a Jazz Band that competed at a national level and placed in the top 15 in the country. I also went to China during college where I helped design a presentation for incoming international students which also placed our organization at a national level. I’ve appeared on two national tv shows and have been the crew for dozens more. I want to be your DJ! DJ Vaughn was the BEST! I could not be more happy. From the up-lights to the music and him being a fantastic MC. My guest could not stay off the dance floor!I would highly recommend DJ Vaughn for anyone's event, it will be the best decision ever made! Thank you so much Complete Wedding Events! My wedding would have not been as amazing without you guys! The entire time we worked with someone to answer any questions we had and there was always follow up. DJ Vaughn was really good at making sure the music selection was based on our preferences. The photo booth team was also fantastic and kept our guests engaged while waiting for their turn in the booth. All of complete event team was professional and knowledgeable. I feel no other company could have met our standards. When the hurricane came, the other company that we hired cancelled on us. Complete Events was quick to replace the DJ and photographer who had evacuated. I, as the bride, had to do none of the work. Both the DJ Vaughn English and the Photographer Michael Rodgriguez, were complete professionals and very good at their job. While they were a last, minute replacement they made me feel at ease with their professionalism and experience. From big days to school dances, bat mitzvahs to corporate gatherings, our Complete Weddings + Events Fort Lauderdale DJs work with you to create the perfect event, with professional party motivation and expertly coordinated announcements.